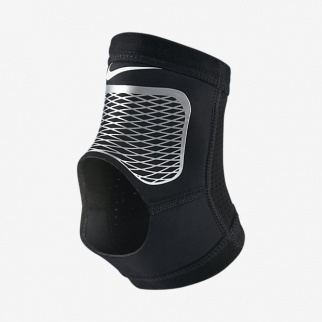 The Nike Pro Combat Ankle Sleeve is made with snug-fitting fabric and abrasion-resistant construction for stability and pure comfort during practice and game day. Having recently come back from an ankle ligament injury I was looking for something which would provide support and be lightweight. This was very lightweight and comfortable however provided only minimal support for my ankle. If you want good support I would suggest something else. As the delivery was free i assumed that it would have taken about a week to come however, i received the product the next day! The product was in perfect condition too, always trust nike to manufacture great products! Very happy with the service and product, will certainly recommend.